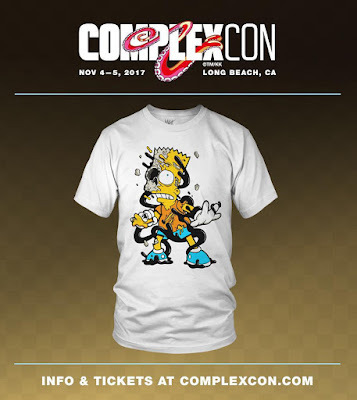 Matt Gondek will be at ComplexCon 2017 next weekend in Long Beach, California, where he will be releasing this fantastic convention exclusive Deconstructed Bart Simpsons T-Shirt! This super limited edition tee will be available exclusively at Avenue des Arts Gallery’s ComplexCon booth. This hand numbered tee is limited to just 50 pieces in a variety of sizes. So if you’re hoping to cop one of these killer t-shirts make sure you hit up Avenue des Arts Gallery early at the con next month.